We all are completely aware of the taxi startup Uber. It is one of the top most company in this category. According to startupranking, it has got the position in top 10 startups. You might know that when your ride is over, you can rate your driver on a scale of one to five start. 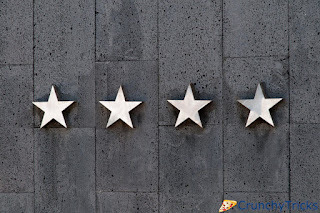 You can rate out of five stars according to the experience and services provided by the driver. But you may not know that Uber drivers can also rate their passengers for how good or bad they were. Earlier there was not any option to see your rating, but now you can check it easily on the app. It was a necessary update to the Uber app as the drivers also don’t want to deal with the short-tempered, violent and aggressive passengers. So do remember to behave properly next time with your Uber driver otherwise it might become difficult for you to get picked up next time. Start your Uber app on your Smartphone. Top on the menu button from the top-left corner. Select Account>I’d like to know my rating. Hit “Submit” button. That’s it. A pop-up would appear displaying your average trip rating. You might get an email from Uber regarding your rating. The Company advises everyone to be a good passenger. This can be done by following some set of instructions provided by Uber such as mentioning accurate location, avoiding alcohol & smoking, & being ready when the driver is at your door step. You can find more information on this official blog post regarding the passenger behavior.